The Hairloft was first established in 1959 as a barber shop owned by the Julian Family. In September of 1972 the name was changed to The Hairloft. This is where the owner, Bill Schmittling began his career at the age of seven. The Julian Family had him shining shoes, sweeping floors, cleaning up and taking care of his soon to be “clients”. 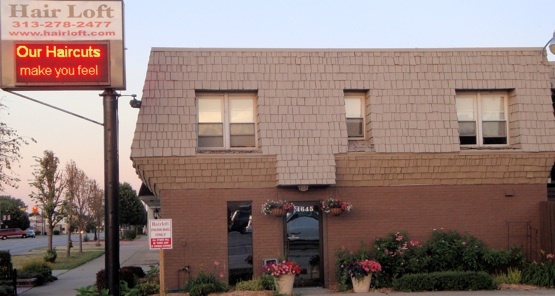 In 1985 Bill bought The Hairloft and has continued to grow his business to this day. Here at The Hairloft, we take pride in serving our customers with absolute best care. We also are committed to making sure every visit is a rejuvenating one. All of our stylists attend hair shows all over North America to keep updated on latest trends. We are passionate about our work and want to make sure you look your best even after leaving our salon, so we make sure on every visit we provide you with all the tips to maintain your style at home.